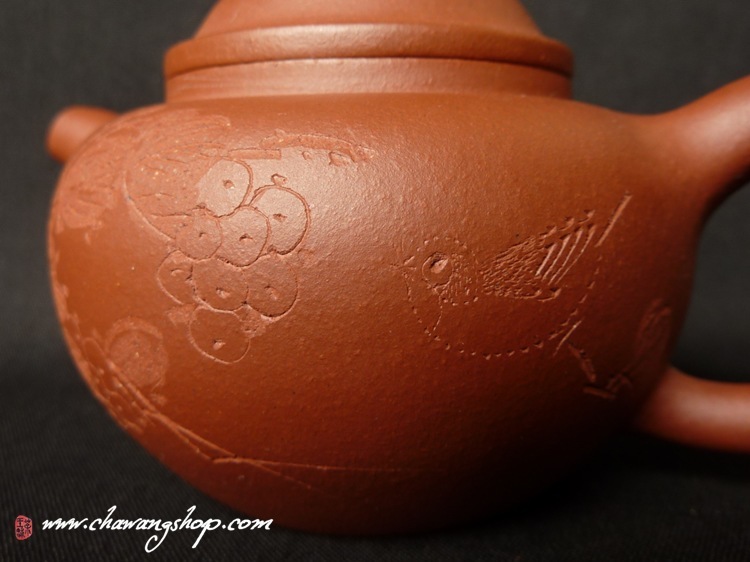 Teapot Inscription : One side-grapes and sparrow; One side-"珠圆玉润，壶中乾坤" Zhū yuán yù rùn, hú zhōng qián kūn (round as pearls and smooth as jade -- elegant and polished, the universe in the pot); Bottom-Wu Hongying Zhi. 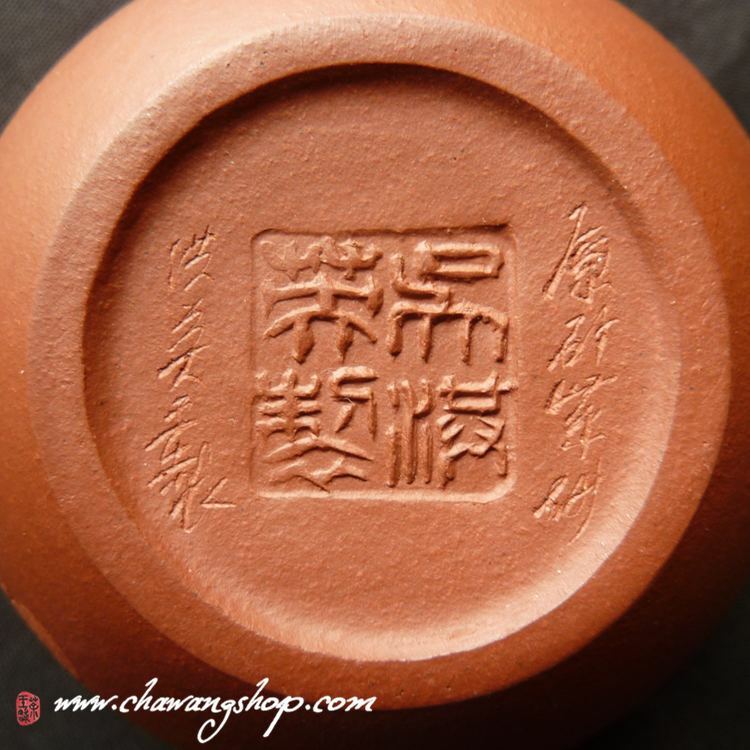 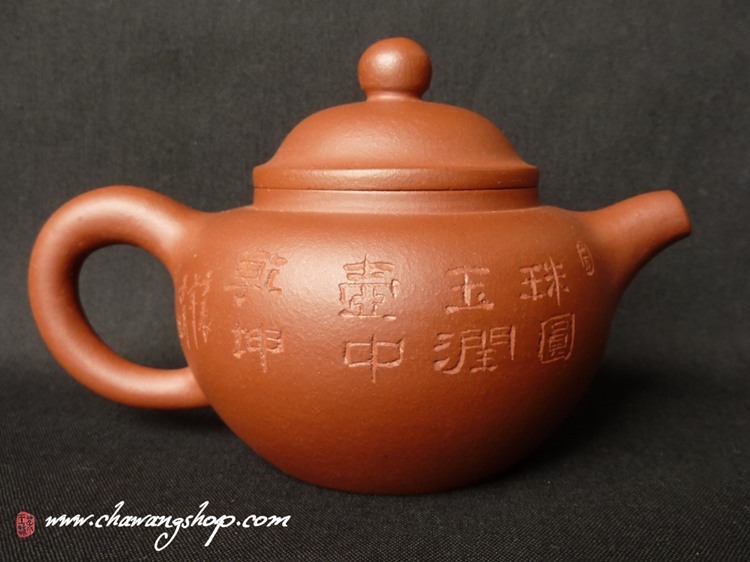 Info : Small and exquisite teapot, suitable for making Gongfu style tea. 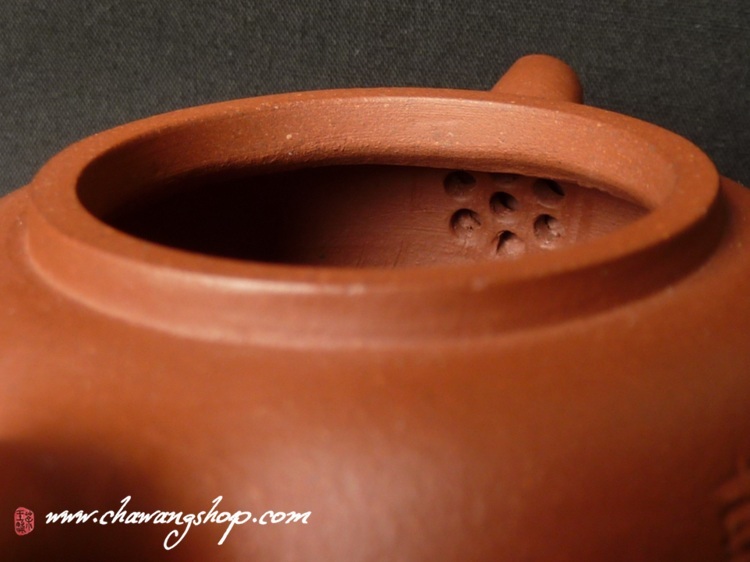 Author profile : Wu Hongying, craft artist.